There’s a fascinating article in the Washington Post about how the foreclosure crisis is leading to increased segregation in American neighborhoods. The article is worth reading, even though it doesn’t directly target Homeowners Associations. There are interesting implications, though. 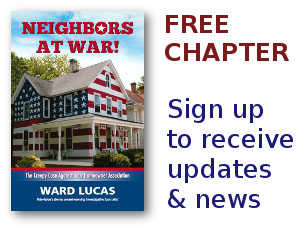 The big irony is that the modern homeowner association movement started in 1964 shortly after the Civil Rights Act was passed. White homeowners and developers recoiled at the thought of minorities moving into white neighborhoods and made sure subtle racial controls were woven into the HOA system.